Winfield Woodlake is a stylish large capacity wall mount locking mailbox that comes with a weather resistant lock and set of keys. 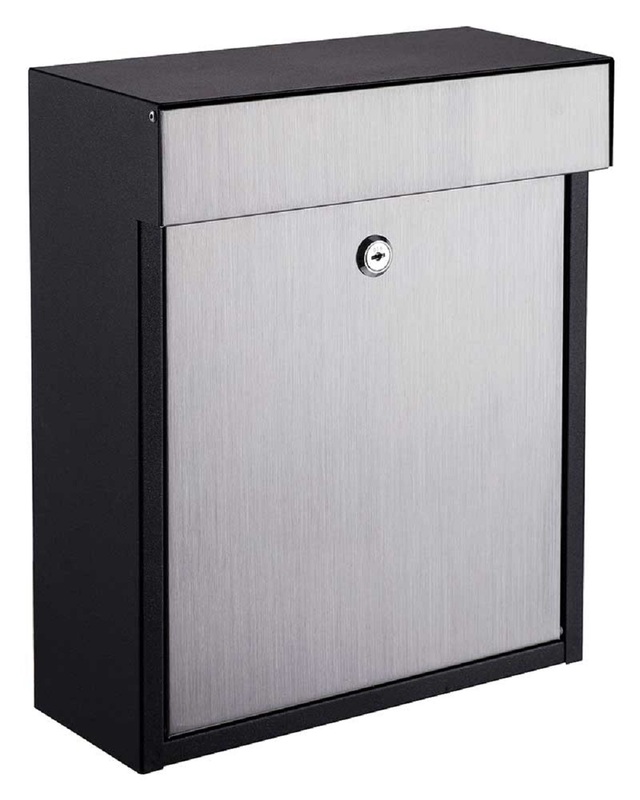 Mailbox is made of galvanized steel and features a tough black powder coated finish with a stainless steel letter flap and door. Add a vinyl logo or street number. Call for more information.